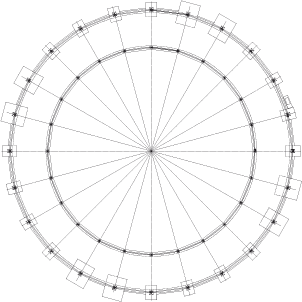 The main frame is identical to our Ground-Standing Horse Walker with partial roof. The ECO model’s fencing is secured by anchor nails. The roof covering is a high grade tarpaulin fabric. The fences are made of standard steel pipes. 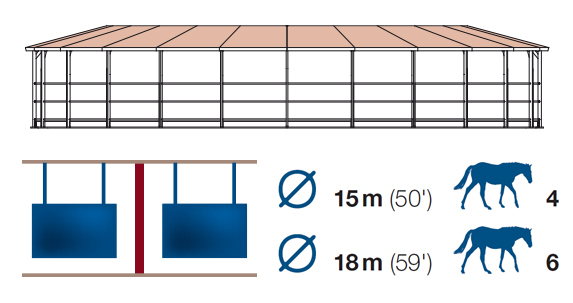 The outer fence can be covered with tarpaulin fabric or a wind screen as an option. 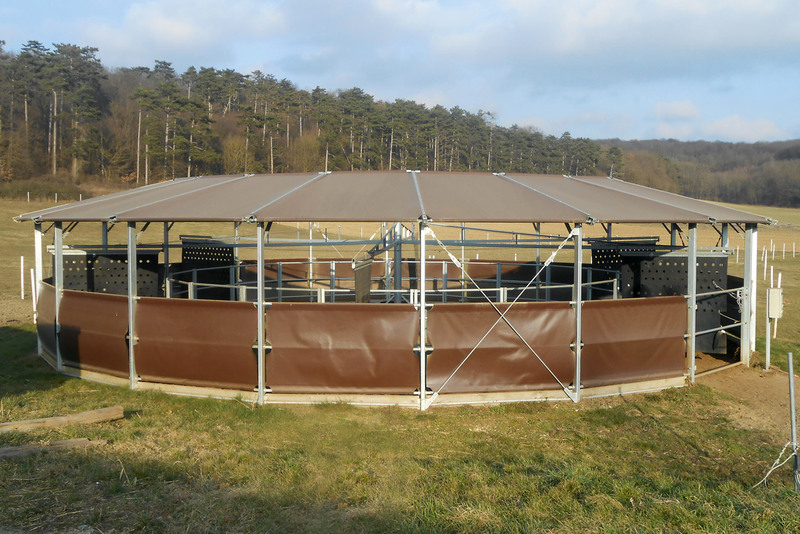 Ideal for farms that do not yet have a permanent place for a horse walker or for clients that prefer a well-ventilated design. This model is portable.